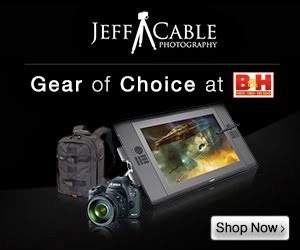 Jeff Cable's Blog: Why you should not delete images on your memory card using your camera - and other memory card tips! Why you should not delete images on your memory card using your camera - and other memory card tips! 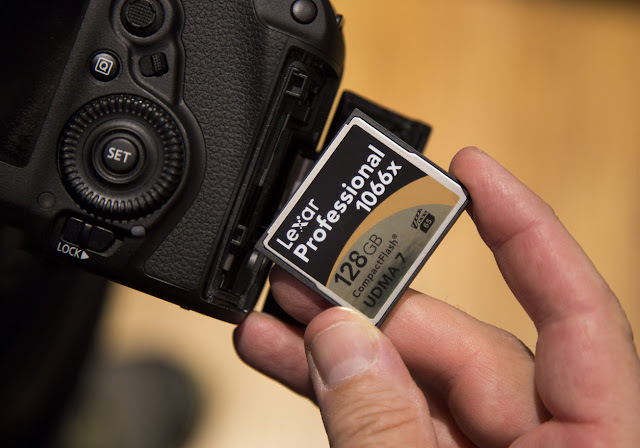 As many of you know, I have been writing this blog for 8 years now, and I also spent many years of my life as Director of Marketing at Lexar dealing with the ins and outs of the memory card business. And in all that time, I have never written a blog about the do's and don'ts of memory cards. Now that I have left Lexar and not on that side of the business any more, I feel that I can write this objective piece for you without any conflict of interest. Most people look at a memory card as a piece of plastic or metal, and they don't think much about them. But inside those covers, there is a LOT of intelligence. There is flash memory, a controller and much more. The quality of that memory and controller often determines the speed and quality of your card. Your memory card has something called a File Allocation Table, otherwise known as a FAT Table. Think of your memory card as a book and the FAT Table as a Table of Contents. When you format a memory card, you are not actually erasing the card, you are just clearing the FAT Table. So...you have removed the Table of Contents, but the chapters of the book still remain. Yep, all the images will remain on your card until you shoot more and overwrite them. This is why you can use a program like Lexar's Image Rescue, SanDisk's Rescue Pro or other data recovery software to recover images from a card even after it is formatted. 1. DO NOT erase images from your memory card in your camera! Clarification: What I mean by this is: Do not go through your photos and delete them one by one using your camera. I see people (including professional photographers) doing this all the time and it is a REALLY bad idea. Your camera is awesome at taking photos, but it is not very smart at managing the data on your memory card. Deleting individual images from the card using your camera is a great way to scramble the FAT Table. DON'T DO IT! And heck, memory cards have gotten so inexpensive and large, that you should not have to delete images to save space. Just pop in a new card and keep shooting. Once you have downloaded to your computer, and backed up the images THEN format your card to use it again. 2. Format your memory cards in your camera, not on your computer. I have seen countless web sites which tell people to format their memory cards on your computer. This is just bad information! You want to format the cards in the camera. And you should do this on the camera your are shooting with. I am currently shooting with the Canon 1DX Mark II, Canon 1DX, Canon 5D Mark IV and Canon 5D Mark III, and I format the card in the camera I am using. You are reading this correctly...I do not format in one Canon camera and move it to another. Will they work? Yes, they will. But it could cause issues down the road. Speaking of this, it is not a good idea to pull a memory card out of one camera model and putting it into another without formatting. I have seen people shooting with a Canon camera, pull the card out and start using it in a Nikon camera. They like to be formatted a certain way and each manufacturer does it their own way. 3. Speaking of formatting, it is a good idea to format your cards after each shoot. Once you have downloaded your card and have the images IN MORE THAN ONE PLACE, you should format that card before it's next use. It keeps things cleaner on the card. 4. Use a good card reader! I can not tell you how many times I have seen professional photographers take a high quality card out of a $10,000 camera and put it into a cheap no-name reader. Ughh, it just kills me. When I was working at Lexar and a customer would call me about a corrupted memory card, one of my first questions I would ask is "What card reader are you using?" Folks, those memory card readers have intelligent controllers inside them, just like the cards! I have seen way more cards corrupted in a reader than in a camera. 5. Don't fill a card completely. Even though most memory cards are built really well and have all kinds of intelligence in them, it is not a good idea to fill a card completely. One of the reasons that I love shooting with large memory cards, is so that I have tons of head room to shoot a lot of photos and not worry about overfilling the card. FYI, I also have the same mentality with my computer hard drives. I never fill them, because their performance suffers a lot when they are full. I usually fill a hard drive to a maximum of 90% and then start writing to a new one. 6. Don't pull a memory card out of your camera or card reader when data is being written or read from the card. If data is being transferred to / from the card and that process is interrupted, it is quite possible that you will lose some or all of your photos. And don't always trust the red light on your camera to determine is data is being transferred. Before I pull my memory cards, I always wait an extra couple of seconds after the red light on the cameras goes off, signifying that the data is done being written to the card. 7. If you have two card slots in your camera, write your images redundantly to both cards to have more peace of mind. This way, if one card gets corrupted, you can most likely get the images off of the other card. I always do this! 8. Purchase name brand memory cards. As you may have guessed, I use Lexar memory cards in all my cameras, but that is not to say that they are the only good company out there. SanDisk makes a good product as well. There are others too, but make sure that you do not use one of those cards made by a no-named company. Remember, you are trusting your images to the card! And you are going to be using the card over and over, so spending a couple of dollars more to get a better product, in the long term, will not cost you much more. Nothing kills me more than seeing someone shooting with a great camera, expensive lens and a crappy memory card. Yep, this gets to me even more than someone using a crappy reader. * If memory cards get dropped in water, the data will be lost forever! This is not true. Because memory cards are made with solid state memory, it is not uncommon for them to go through the washer and dryer and still be useable. Would I keep using that card after a situation like this? Probably not. But most likely your data will still be on the card and can be recovered. I used to jokingly say to people, "If you put your card through the washer, make to put it in the dryer too!" * You must keep your cards in covers. I hate to tell you this folks, but I have my cards loose in my bags all the time. I do not use the little jewel cases that come with the cards. I do use the ThinkTank Pixel PocketRockets, but also have countless cards thrown in my bags. This has never been an issue. I have had many people ask me how they should travel with their memory cards, especially at airports. In the old days, the X-Ray machines could damage 1000 speed film, but they pose no threat to the solid state memory cards you own today. After reading this blog post, I hope you have a better understanding of your memory cards and readers and appreciate them a little more. There is so much technology packed into these devices, but they are so small and unassuming that it is easy to take them for granted. These are simple tips that could save you from a disastrous situation. I hope that these help all of you to keep your memory cards and images safe now and in the future. I actually fully wipe the card on the computer after transferring and backing up the images, and format the card in the camera before use. This wipes out the old images (not just the FAT), assures I reformat for the specific camera, and actually would make a recovery effort easier should that be needed. It is much easier for a recovery program to recover from a relatively clean card than from one with several sessions of digital residue. And I only use Lexar cards and my Lexar reader. I have never had one fail yet. Thank you for this! I'm confused about number one though...don't delete using your camera and don't delete using your computer?? I can't afford to buy a new card every time I fill a card. Although I agree with the suggestion to use name brand memory cards I will say I've had three or four name-brand cards fail in my life -one of them so badly a tech from the company could not read it at all. A great reason to have backups and maybe shoot on two smaller memory cards instead of one larger one. One other point I wanted to add is I just recently got a new, faster SD UHS-II/U3 card (150MB/s) and it was significantly slower in my camera than my older 95MB/s U1 SD card! So before you spring for a faster SD card make sure your camera supports the newer spec fully. As for keeping the cards in cases I do it not so much for the cards (though it can help protect them) but also because that way stray dust/particles will not get into the SD slot in my camera. What is the difference between format and low-level format? No mention of making sure that UDMA7 cards are used in UDMA7 readers. I can't imagine how much money the FW800 readers have cost lexar in the last couple years and still they aren't screaming this from the treetops like they should. PR issue I suppose. We are on the new Workflow readers now, but just sent off my last batch of corrupted cards to leave last week from the 7 snafu. The effects seem to be cumulative of some sorts as we had several daily long after ceasing use of the fw800 readers. Don't delete on your camera, FORMAT on your camera. How do you do number 7? I mean how do you write to 2 cards redundantly? First, thank you very much for the article. Only one question. When going through airport security is it a good idea to have memory cards in a 'safe' case or is it a waste of money? Thank you for writing this article! It is very helpful and clears up all the questions I had about memory cards. Thank you for writing this article! It is very helpful and covered all the questions I had concerning memory cards. Don't delete images one by one (if you're in the middle of a shoot and you see a bad image, don't delete. Just keep it on your card until you transfer them to your computer. Then you can delete the bad image from your computer. Don't delete the images from your card while in your card reader/computer. Once you have finished transferring your images to your computer (and backed them up sufficiently), put the card back into your camera and format the card. This will take care of deleting your images from your card and formatting the card correctly to your camera. 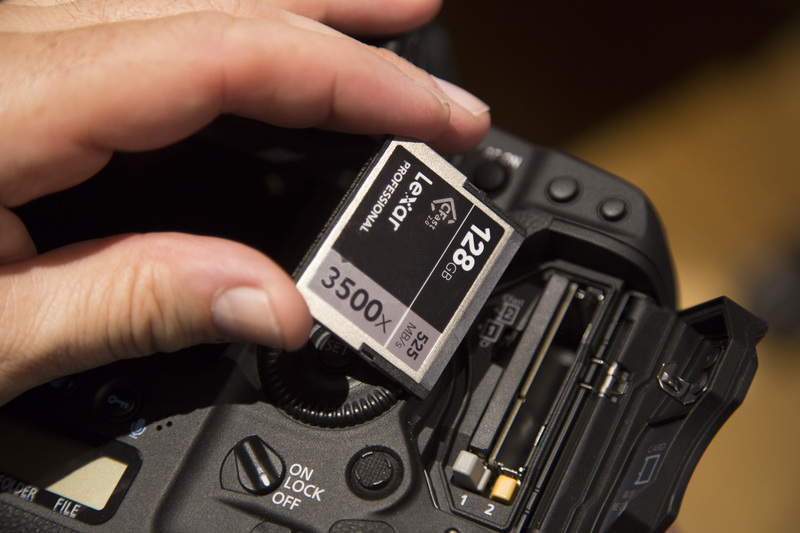 Great blog and good information how to use the memorycards! 1. Don't format the memory card in the computer because the computer uses a different kind of format! 2. It is important to put the cards in this little plastic covers! When you are travelling in deserts or very dusty areas, it can happen, that very smal sandparticals enter the holes for the pins in the CF cards. You can not clean that and the pins in the camera will break if you try to put it in the camera slot... I saw this twice on a desert photo tour! As well as purchasing quality name brand cards, buy from a trusted retailer i.e. no ebay purchases please! There are so many fake memory products out there from SD cards to USB sticks. When I fly back from vacation, I always remove all of my cards and put them in my wallet which has my ID, cards etc, just in case I might have to evacuate the aircraft. That way I know I have my photos, the equipment can be replaced. Is there a place you can take a card to have the data retrieved if it is broken? Outstanding blog post Jeff. Thank you for sharing your knowledge. Thanks to your past blogs I use Lexar exclusively and have great success. I use Lexar XQD cards and a Sony card reader and the downloads are slow. 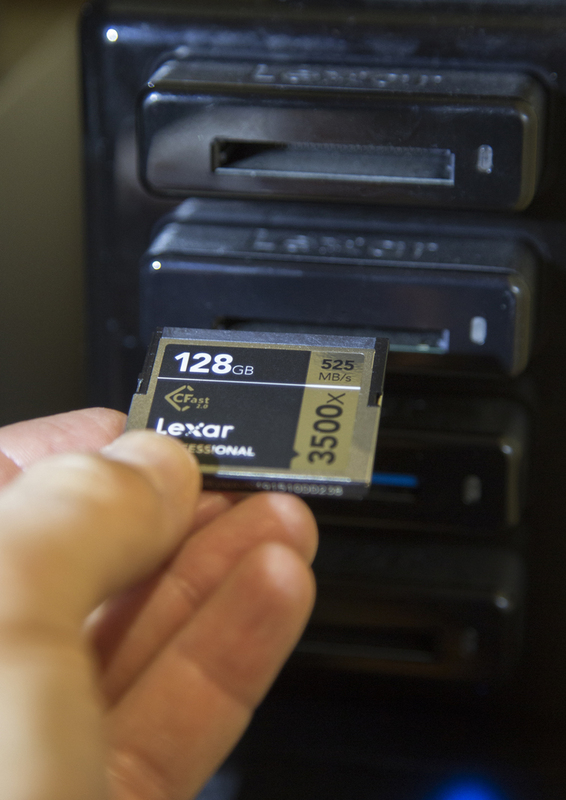 Do you recommend using a Lexar reader with Lexar cards to get the best performance? Thanks for all of the great info. Can you provide any additional information regarding your suggestion that "Your camera is awesome at taking photos, but it is not very smart at managing the data on your memory card." Millions of people delete many millions of photos from their cameras every day. What makes cameras "not very smart" in this regard and did Lexar have evidence that this was a common issue causing card corruption? Some pretty Good advice Jeff! Thanks for writing and posting it! Good reading-I surely appreciate your expertise in this matter. Thank you for taking the time to share this! So informative. I tend to think of my memory cards as magic genies that hold on to my images for me, and I just cross my fingers that they don't get angry and destroy my data, haha! That said, it sounds like I'm doing most things right, so it's good to know I'm not making any major mistakes. I do have one question, though -- you mention using a quality card reader, but what if the only card reader you have is the one that's built into your laptop? Is it a bad idea to use a built-in card reader, and if so, is there a (not too expensive) external card reader you would recommend? Earlier this year I had the misfortune of having the waterproof cover on my GoPro fail whist snorkeling in the ocean. Unfortunately I had no internet access on the cruise ship until 4 days later so I had no access to research additional advice for handling salt water exposure. I immediately put the camera and card in rice to dry them out, but unfortunately the salt water starts corroding the circuitry in the camera and card several days later. The card and camera dried out within 24hrs but two days later both were destroyed. If faced with this scenario again I think I may have been better off flushing it all with very strong alcohol, leave the gear in rice overnight then back up everything immediately to another storage device. Hi Jeff great article. Really helpful. Would this logic extend to sd card for mobile phones too? But then aren't you then relying on your camera battery not to fail? All reader 100%. USB 3 with a fast memorycard is awesome. Downloading a 32gb card of RAW files took ages on USB 2, USB 3 was a real treat. Maybe don't believe what you see, like he said, once you start taking more photos you reduce the chance of retrieving them. Interesting info, just have a couple things. #1, what about built in sd readers on most laptops? #2, Be sure to give your blog a proof read once or twice next time. There where a few mistakes that are easy enough to fix with a proof read. (Example, section 3, "have the images IN MORE THAN MORE PLACE". I have a Nikon D300s with a CF & SD slot, in the menu you can set what you would like to do, eg RAW to one card and maybe a full size Jpeg to the other as depending on where you are, you may not have access to RAW software so then you have the JPeg. Can be handy. Years ago I had a lead case with film inside and I was told off when my bag went through the X-ray, they said it was no longer needed and there X-ray would affect my film. Still didn't ask to see inside. I do a secure erase after each job and format in the camera before I use the camera. Is this a good idea before each job? Is it possible to recover photos/videos that is low level formatted from a camera? What about plugging your camera into the computer? Is that ok? Or do you still recommend a card reader? I agree with all the points, but want to add: don't put your SD card in your back pocket wallet. I did that on a wedding shoot, only to get home and the computer wouldn't read the card. Sent it away to a lab and got back a scan of the memory card inside cracked into two pieces! To this day 2 years later I get minor PTSD-type flashbacks just thinking about it (returning half the couple's money was nothing! I would have paid the lab ANYTHING to get that data back). Never imagined that the card and my wallet were that flexible. This article has little value especially coming from a former Lexar employee. Most of this is common sense, but some are nonsense, like #1 & #5: who cares if the FAT is scrambled? He never says what the consequences of having a scrambled FAT table are and I've never experienced any machine, camera or computer, that has system software that can't handle an unorganized fragmented FAT. Delete off your camera all you want. I do this systematically as my import process; before uploading, I always delete off my camera images I'll never use. And I'll delete while shooting; I've never had any consequences from it. And fill that card up to the brim; the camera doesn't care. Jeff never explains why this caused him problems. It's like he cares more about a FAT table than practical issues. #4 is important. I've had corrupted memory cards from this, but he never addresses built-in card readers whether they're good quality or not. I've never had a problem with either my laptop's or desktop's built-in card readers. #2 is important only because cameras are picky. I've formatted cards in different cameras and my laptop only to find the camera doesn't accept it. It's unfortunate, but it's a fact of life: always format a card in the camera you will use it in. #3 is part of my system of importing: just format the card in camera after uploading and backing up the photos. #6 is critically important; wait a few seconds after the light goes out or the door is open to remove the card. #8 is important. Buy name brand cards. You wouldn't buy crappy film. I've put off-brand SD card down the garbage disposal. Life is too short for cheap memory cards. Also, the read-only tab falls off the cheap ones; this is a design peeve for me. It's not actually a read-only tab: it's a write-allow tab because if it comes loose and falls out, your SD card is now read-only. They should have designed it the other way: if it's missing, you can't write-protect it. Lastly about #5, if you've formatted your card, then filling it up isn't going to fragment your FAT. I'm not impressed with this article. Lexar is worst card i have ever had. Bloody goes corrupt every time i have used them. I have two of them and i swear never gonna use them again and won't recommend to other. recently spoiled my whole travel shoot. even then they charge for recovery software. A low-level format will completely fill the whole card with 0s thus completely deleting everything on the card. It takes a while, causes more wear on the card, and doesn't really gain you anything. Quick Formats are usually better. Question about #3: It makes it super nice to format a card after each shoot as I know that all photos on the card are from that shoot. However, while a quick format doesn't necessarily waste writes on the card, formatting (or moving the pointer back to the beginning of the card) after every shoot will cause the beginning of the card to wear out faster than the end of the card. Say I have a 64GB SD card and a typical shoot only uses 8GB and I format after every shoot, isn't it more likely to wear out the that first 8GB of the card than the remaining 56GB? Wouldn't it be better to continue shooting until the majority of the card gets filled up, then format the card? That way, it distributes the writes across the entire card rather only the beginning. Of course, this only matters if the max number of possible writes is relatively low (like SSDs vs HDDs). Thank you for posting these clear directions. Question: I heard that putting a card containing images in a Canon DSLR and then taking a photo will cause the camera to add the number of photos on that card to the total photo count. Is this possible? Also, could viewing a photo on a card that has been put back in a DSLR cause the camera to add the number of photos on that card to its photo count? Wow its been so long since I had to low level format I almost forgot what it was! For End users, Low level format is only relevant for really old disk drives with magnetic platters. its not relevant for flash storage devices as the controller already 'knows' what the memory array 'looks' like. Typically the controller inside a modern magnetic platter disk drive has the low level info permanently written in factory for the life of the drive. I am an underwater photographer. I have found several cameras in the ocean. I store a small text file on all my cards and thumb drives containing my contact imformation, just in case. This can be easily done with your computer after formatting in your camera. Thanks for sharing this great intel. Happy Holiday Season to you. Wow, Jeff! This is incredibly useful. Many of these tips I had never heard of or thought of before but they make sense! Thanks for sharing your knowledge!! Thanks for the great explanation, Jeff. I typically format my cards but never really understood why that was so important. You make it plainly clear. Will share with my readers and clients. Excellent post, thank you. I thought my cruise pics (on an accidentally re-formatted card) were gone forever. I'm glad you pointed this out about CF cards, started to think maybe I was the only one that thought this way! I always keep CF cards in a "Clean" case for this very reason! If those tiny contact holes get any dirt in them and you put the CF card into your camera, the corresponding pin on the camera can get damaged. I don't understand why someone spends a lot of money on cards and camera gear and then just "throws" their cards into their camera bag! Can you write a piece on how to buy a memory card? I'm confused about all the speeds and markings on a card. One person says buy UDM1, another says UDM2, another Class 10, another 95mb/s. I've even seen one comment (here) that someone bought a "pro" card and it was slower than the previous card that supposedly was not pro. (Exactly what is a pro card?) What I'm looking for is something that will transfer my images as quickly as possible from the DLSR memory to the card. I don't care about card capacity nor do I care how long it takes to upload using my PC card reader or even connecting the DSLR to the PC with a cable. Thanks. FAT is a file system standard made by Microsoft. FAT should be used the same way by all devices that use it, otherwise it's not a standard. If a card gets corrupted by the camera, the camera firmware is buggy and doesn't adhere to the standard. That is a bad camera, and a bad manufacturer. Not that I disagree, but still important to point out the camera firmware is buggy (which is why you don't want to delete files on the camera). It should not matter where you format the card, but due to buggy cameras, it sadly does. You don't have to reformat your USB flash drive when you plug it into a different computer. For reference, I'm also a software engineer. So you trust your camera to write a FAT, and to modify the FAT every time you take a new shot, but not to modify the FAT when you delete a shot? Is this based on anything concrete, because it sounds like superstition to me. If your camera is corrupting the FAT by deleting shots, then it's buggy and I wouldn't trust it to write to the card in the first place. I agree with "unknown user" up there: What does a scrambled FAT have as a bad side effect? Is it more prone to failure? Can you prove this? Also: You have any comments on grabbing a card putting the finger on the contacts? I always avoid that, but see many people that do it and dont care. Do you know if this reduce the card lifetime? Jeff, one additional piece of valuable information. Don't send your memory cards through the U.S. Mail if there is any possibility they will be routed through one of their facilities that houses one of their powerful X-Ray machines. From personal experience I will tell you that if your card goes through the machine, it is rendered useless. Even sending it to the manufacturer can't save it. These machines are nothing like the airport scanners. The problem is, no one is quite sure where each machine is located! Beware! Much thanks for invaluable advice that isn't available from a lot of sources. Hi Jeff: How many times do you recommend formatting the card before you should toss it in the trash and start with a new one? I have the Lexar CF cards and a Lexar reader (although I like the one you picture here and would like to know which one it is). I have had my cards for about 2 years and format them regularly. Might they be at the end of thier life? I really appreciate you taking the time to post all of this information. It was so well-written, easy to understand, and oh, so informative!!! Yeah, I'm one of those folks you might see deleting the unusable shots during breaks in action during a shoot. It's not so that I can reclaim the space later, though. It's just to get a jump on selecting which images to discard and which ones to use later. Once the images I choose to keep have been transferred and backed-up, the card gets formatted in camera before it's used for another shoot. I almost always transfer images directly from the camera via USB2/USB3, depending on the camera, always format in-camera, and always wait a couple of seconds after the memory card activity light goes out after turning the camera off before opening the memory card slot door. I've always bought name brand cards from reputable sellers. Mainly Transcend and Lexar. As others have pointed out, there are probably more fake SanDisK and Lexar cards sold through eBay than genuine ones. After shooting nearly half a million images with 6 different camera bodies I've never lost a single image to a card failure. I have lost a handful (less than 30) by accidentally deleting about 80 images, not realizing what I had just done, and then overwriting them with new images. Most of the images deleted, other than the ones that had been overwritten, were recovered. Anonymous wrote: "Question about #3: It makes it super nice to format a card after each shoot as I know that all photos on the card are from that shoot. However, while a quick format doesn't necessarily waste writes on the card, formatting (or moving the pointer back to the beginning of the card) after every shoot will cause the beginning of the card to wear out faster than the end of the card." "Say I have a 64GB SD card and a typical shoot only uses 8GB and I format after every shoot, isn't it more likely to wear out the that first 8GB of the card than the remaining 56GB? Wouldn't it be better to continue shooting until the majority of the card gets filled up, then format the card? That way, it distributes the writes across the entire card rather only the beginning." The memory controller in the card handles wear leveling. Each time you reformat the card, the "beginning of the card" is in a different physical location than it was the time before. So if you only use 8GB each time, assuming the card's memory controller is well designed, you are not using the same 8GB over and over. The memory controller is using different areas of the actual physical memory to assign the same memory address in order to use all of the memory as evenly as possible. I see on standared SD cards UHS1 class 10 or UHS3 Class 10 some are 90 mb and others 48mb and a wide range of specs. Help? what is the difference between them? That was indeed a great read! The correct methods are presented so that you can keep your card safe and you do not have to use a third party software for corruption or recovery software like Recuva, Remo Recover or Stellar Phoenix. Just to sway any doubters with simplistic views on the reliability of cameras' programming, I have recently confirmed the risk of trusting to deletion by using the camera's facility. I lost a day's work that I cannot recover by going back to take the shots again. My own fault of course, and kudos to Jeff for his article.